Q. Why are your prices not listed? A. The simple answer to this is that we are not necessarily trying to "sell" you anything. We insist that every person try us out so that we may also try you out. We only accept serious clients with positive attitudes and because of this we do not let every person who tries us out sign up for our program(s). A: Currently JM Fitness LLC is only accepting credit cards or debit cards. Q: Do you have to pay in full for all services? A: No, but you may pay in full for our boot camp programs and receive a 15% discount! Q: Does JM Fitness LLC offer refunds? 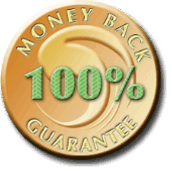 A: Yes, we have a 7 Day 100% Money Back Guarantee. Q: Where is JM Fitness LLC located? Q: What area does JM Fitness LLC service? Q: Do I have to provide my own equipment? A: No, JM Fitness LLC will provide all of the equipment for you. Q: Does JM Fitness LLC provide nutrition counseling? A: Yes. JM Fitness LLC provides nutrition guidelines and a meal plan. A: Five Days a week, four sessions a day. Session #1 - Monday to Friday 5:15 - 6:00 A.M. Session #2 - Monday to Friday 6:00 - 6:40 A.M. Session #3 - Monday to Friday 7:00 - 7:40 A.M. Session #4 - Monday to Friday 8:00 - 8:40 A.M.
Q: Does JM Fitness LLC offer any services for someone living outside of the greater Pittsburgh area? A: Yes, JM Fitness LLC offers written workouts.